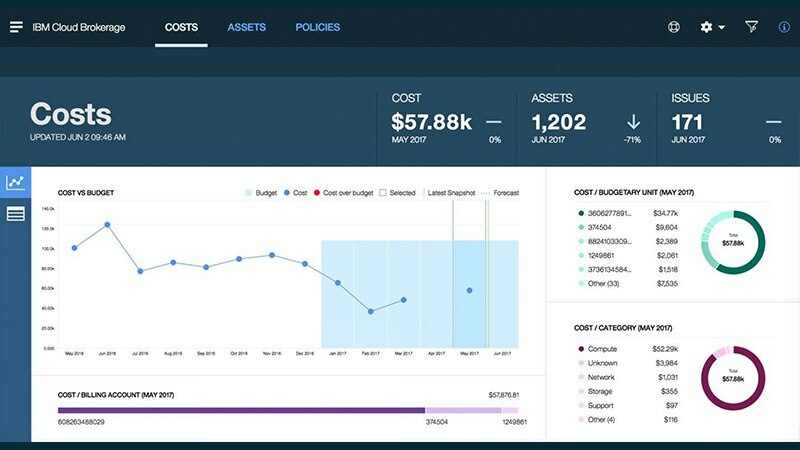 IBM® Cloud Brokerage Managed Services - Cost and Asset Management gives hybrid cloud users ongoing visibility and actionable insights into optimizing their cloud investments. This “plug and play” service helps you establish and enforce governance control points using financial and technical policies. 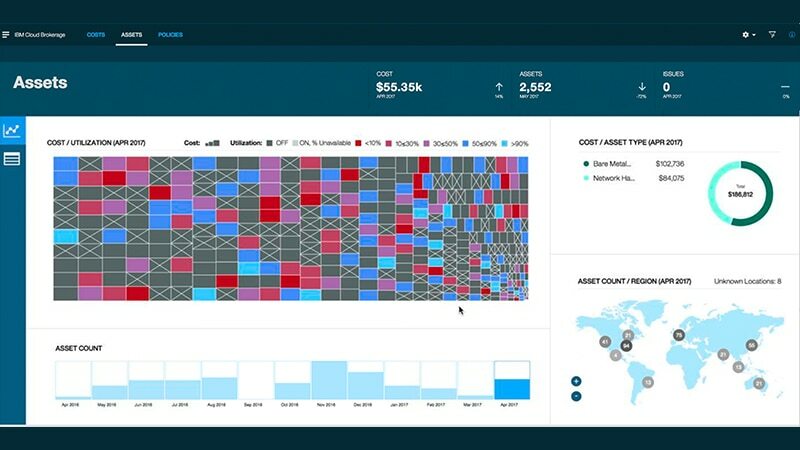 The service provides cognitive IT governance by using predictive analytics to monitor and provide recommendations on finance and IT dashboards. Cost and Asset Management helps companies quickly realize visibility and governance and then with the rest of the suite, companies can continue their hybrid cloud transformation. The service provides ongoing visibility into cloud inventory and current and projected costs. Stay on top of cloud spend and optimize assets across hybrid clouds and multiple operating models. The service recalibrates cost by comparing planned versus actual and recommends policies to streamline cloud usage across the board. 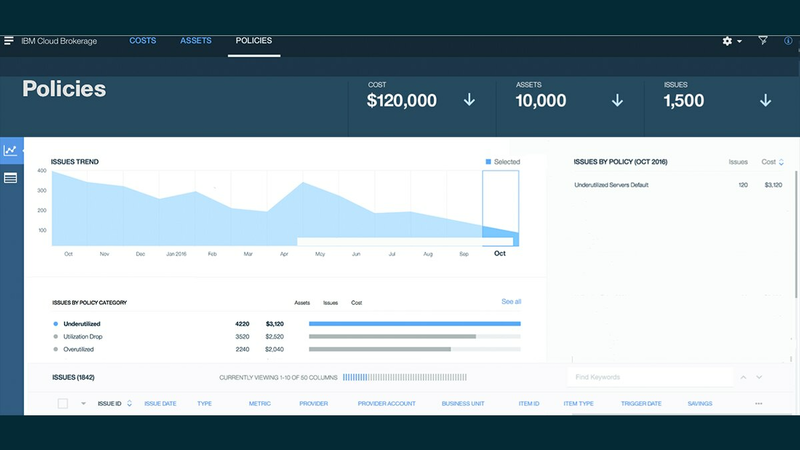 Enable your enterprise with cloud governance and visibility.